Kayce Hodos is a licensed professional counselor who works in a private practice in Raleigh, North Carolina. 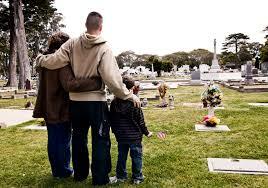 She specializes in grief and loss counseling for both adolescents and adults. Recently, Hodos spoke with Dr. Gloria Horsley at the annual Association of Death Education and Counseling Conference about what it means to serve this demographic. “It’s a tough group,” says Hodos. “Naturally, they feel very alone and seeking to belong, so it’s very important that they know there are people out there they can talk to and that they can trust.” Adolescence is a tough enough journey in itself, but add a loss into the mix and it can be a traumatizing experience if not handled well. That’s where Hodos steps in. Parents also need to understand that it can be a long process “simply” for an adolescent to seek out counseling and help with the grieving process. “If you let them know that this is confidential,” says Hodos, “that’s the main thing.” Adolescents in particular may seek out experts and unbiased third parties who are trustworthy and who they know “won’t tell” their parents or anyone else about the sessions. Dr. Horsley points out that many times, parents and adolescents seeing a counselor separately is a wise move. This keeps the confidentiality and trust intact, but also helps parents understand the process for themselves and/or for their children. 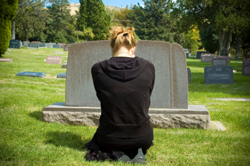 This can be particularly helpful if the loss is “solely” for the teen, such as when a friend passes away who the parent didn’t particularly know. Of course, a shared loss also presents unique problems. “I see some families,” says Hodos, and considers that mixing in group counseling can be beneficial. Hodos also says that self-care is paramount—grief is everywhere, and it’s important to understand “you’re not crazy” and that grief is normal.